home Ellis Library, Resources and Services Lights, Camera, Action! 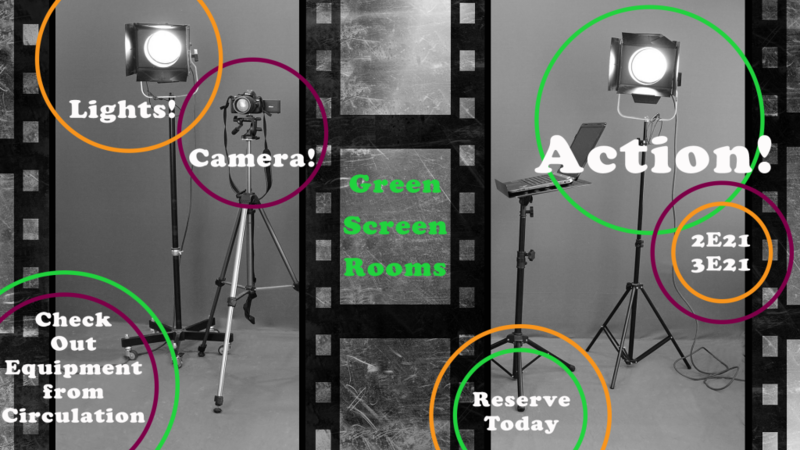 Green Screen Rooms are now available in 2E21 and 3E21 located on the 2nd and 3rd floors of Ellis Library. To reserve these rooms for up to 2 hours, go online to the room reservation calendar on the library’s homepage. You can use the green screen wall to replace the background of your photography and video projects with different settings. Then, use Adobe Photoshop or Premiere on one of the Mac computers in the Digital Media Commons Lab to edit your work. Equipment is available for checkout at the Circulation Desk with a student ID. We have cameras, camcorders, tripods, microphones, portable green/blue screens, and many other items that will help you complete your project. Go to https://libraryguides.missouri.edu/DigitalMediaCommons to learn more!